My friend Bannon is at it again! 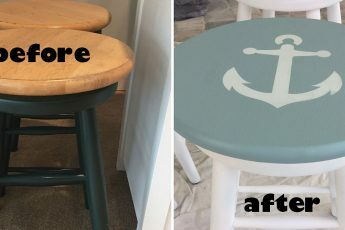 You may remember the awesome desk she re-did. Well, check out the adorable Command Center she made! Here is her write up on how she did it. Great job Bannon! I Love it. Do you have a project to share? Contact me! I have been pinning command centers for the past few months. 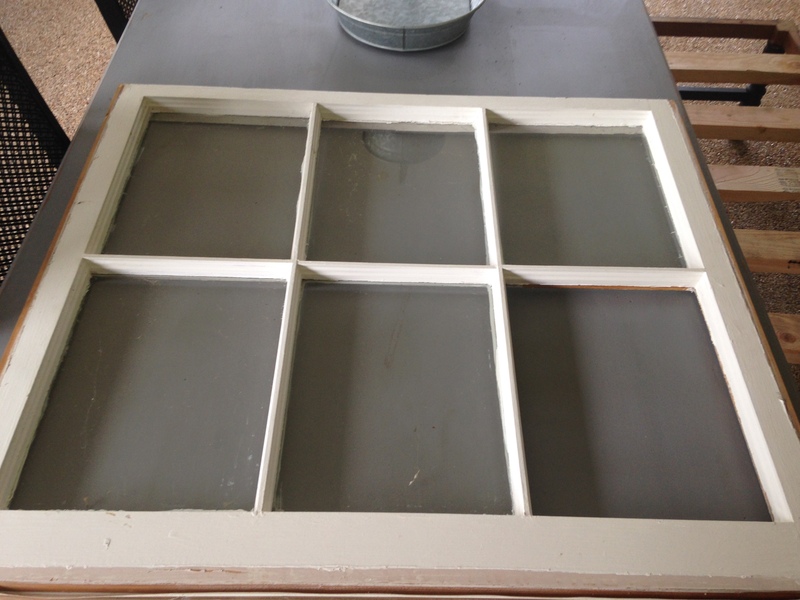 On a recent trip to Atlanta, we picked up an old 6-pane window. I have seen windows around Naples on craigslist for $30 – $50! I lucked out and found the window for $7 at a Christmas in July sale at a local antique shop. Due to an unfortunate packing circumstance, my 6-pane window became a 5-pane window. It’s hard to see it, but the bottom right pane is missing. I cleaned the window with glass cleaner and magic eraser, leaving some of the paint on the glass to keep the rustic look. 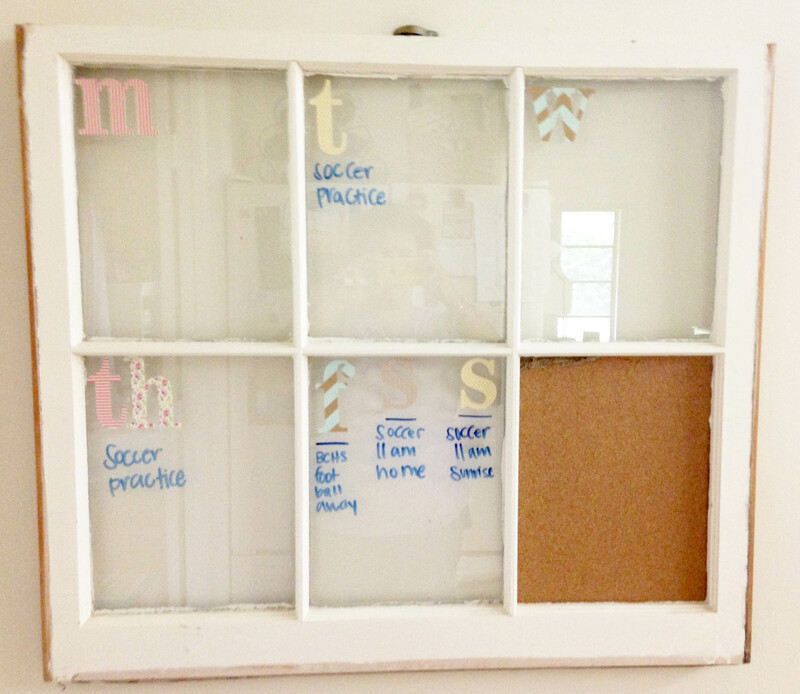 I thought it would be handy to make the empty pane a cork board for notes and appointment cards. 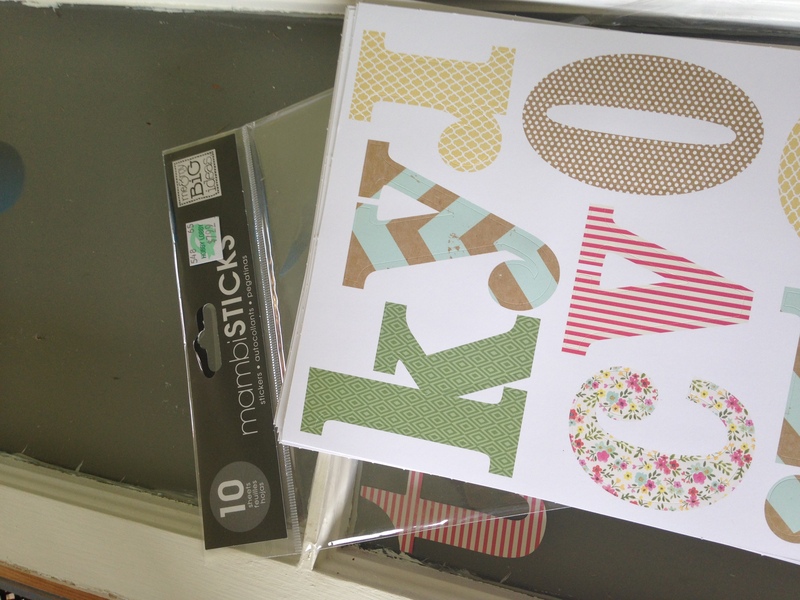 Hobby Lobby has a few cork options – cork rolls, cork squares and unframed cork boards. I realized the cork from the roll would have been too flimsy. The cork squares were almost double the price of the unframed cork board. 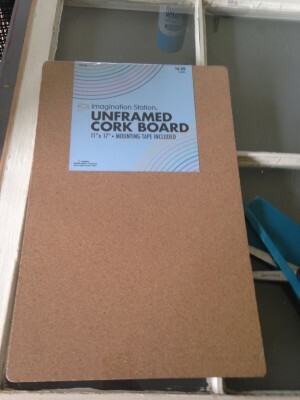 With my handy 40% off coupon, the unframed cork board ended up costing less than $3. To get the cork to size, I traced the opening on the back of the window onto a piece of cardstock and used that as a template to cut the cork. I used an exacto blade to score and cut the cork. This was a little harder than I thought it would be and ended up having to shave some of the wood off to get it to fit in the window. 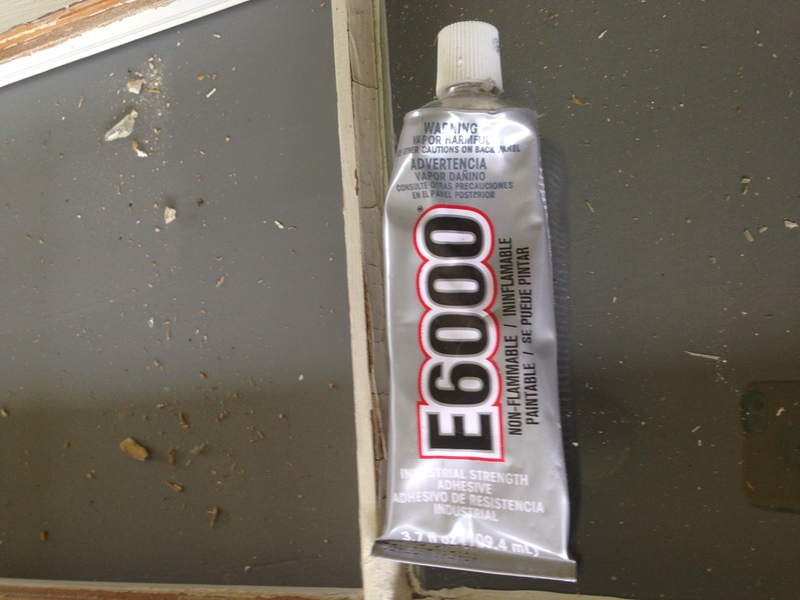 I glued the cork on the backside with E6000 adhesive. 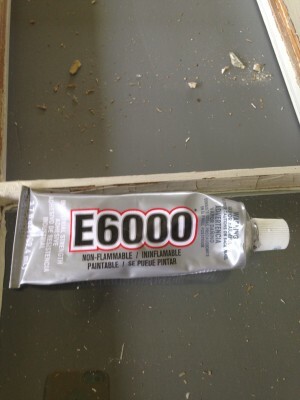 This stuff is great, but should be used in a well-ventilated area – it is SO strong! 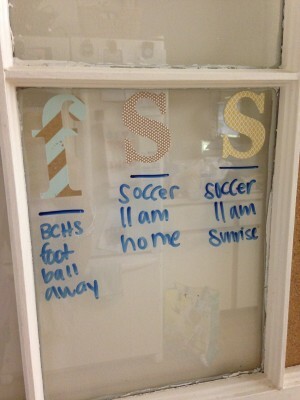 I attached the stickers to the glass for each day of the week, combining the weekend days. Glass makes a perfect dry erase surface! 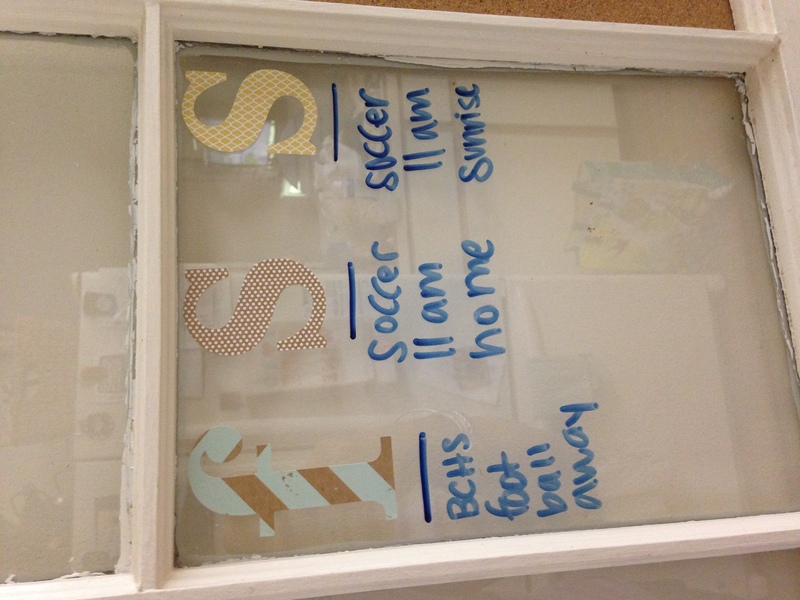 We use an aerosol glass cleaner and it gets the marker and residue off the glass – making it a fresh surface each week! We added a saw tooth hanger to the back and placed it in a central place in our kitchen. 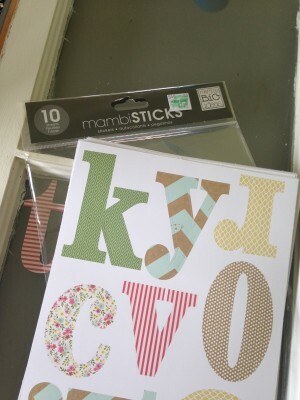 I plan to add a wall hanger to put papers or notes in. One week down and I already feel organized!! Let’s show Bannon some love! Leave her some comments!